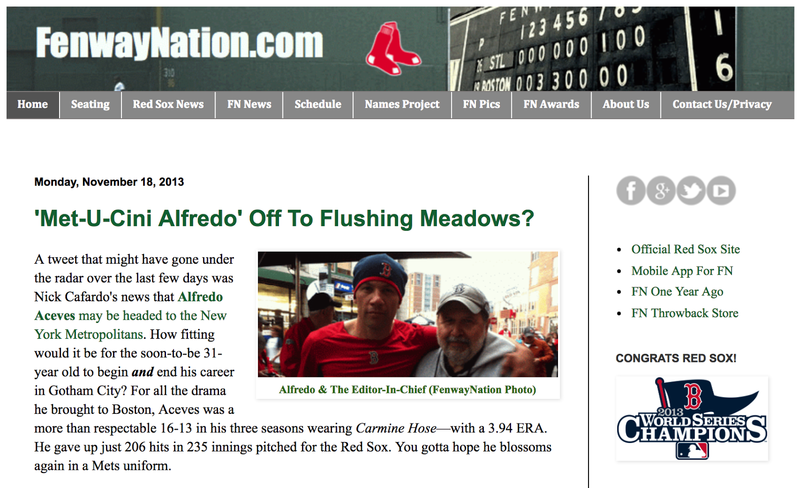 A look into the FenwayNation WayBack Machine reveals that this month four years ago—basking in the wake of the franchise's eighth World Series Championship—we were somehow concerned with the landing spot for Alfredo Aceves. Rumors were swirling that the enigmatic Aceves was headed to Flushing Meadows as a member of the New York Metropolitans. In fact, he signed with the Orioles in January of 2014—then signed with his original franchise, The Bronx Embalmers. Aceves finished out his career with 10 games for The Evil Ones. You can view the entire FenwayNation page for November 18, 2013 HERE.